An ageing skin tends to appear dull and old. With age one needs to take regular care of skin. Spoons help massage the face thoroughly. Massage at least twice a month. As you grow older, your skin goes through several changes depending on your hormones and lifestyle, making you prone to looking older. Elasticity of the skin gets weaker, making subcutaneous tissues more visible. But then, the good news is that you can make your skin look healthy and toned just by a simple kitchen tool aka spoon. It is important for women over 30 to do proper facial massage in order to preserve youth and beauty. 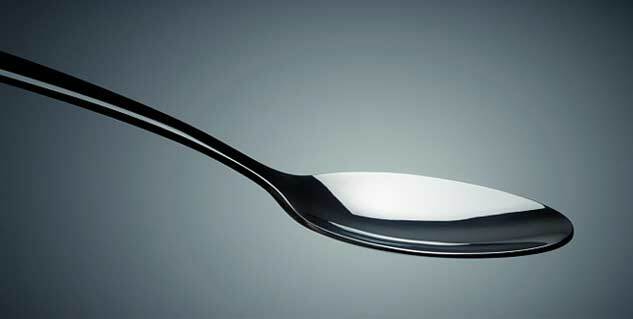 Why is spoon massage so effective? Spoon massage throws out excess fluids from skin, improves blood circulation, reduces wrinkles and restores youthful facial contours. However, for best results, you will need to do this message regularly for at least 10-15 days. Things you will need to perform this massage include few teaspoons, one glass of cold water, ice cubes, warm olive oil and a small bowl. First, remove any make up you may be wearing and wash your face with a gentle face wash. Then apply a suitable moisturizing cream or lotion all over the face. Meanwhile, keep the teaspoons in a glass of water and ice. Add some alcohol in it to disinfect the teaspoons. To start the massage, take one spoon out and put it on your lower eyelids for few seconds on and off until it loses the coolness. Take another cold spoon and repeat the same procedure on the upper eyelids. Now put the spoons in the heated oil for a short while. Once the spoon is slightly warm, massage your eyelids and the rest of the face by applying some pressure. Every movement should be repeated at least 10 times. Wash your face with warm water once you are done. The spoon massage is quite effective on improving circulation. Be prepared to look younger!